74 customers have given this product a 5-star rating. 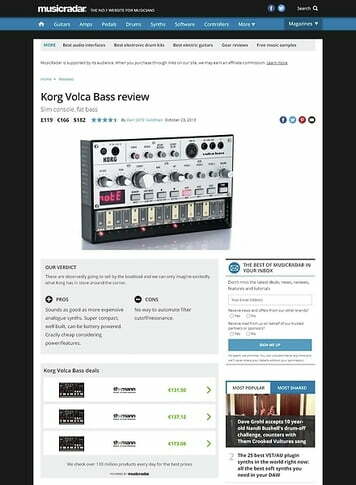 It's a 3x oscillator, 100% analogue synth, for less than 150 euros. We can stop right there - it's a must have. Plus it has a really cool sequencer, which is very intuitive and easy to use. Although limited to 16 steps (or one bar). However, you can connect it to your DAW via midi cable, have your sequences running from there, and have as many bars as you want. Oscillators sound really nice, as well as the filter, which turns into a beast with a lot of resonance. Without running it through any external devices, you can get an overdrive, which is a nice little bonus. 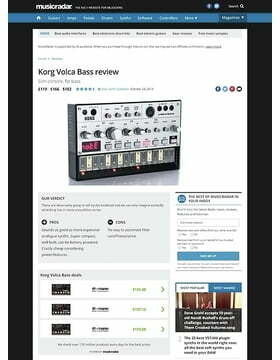 It is marketed as a monophonic bass synth, but it's a lot more. Actually it has a secret. It's not completely monophonic. You can sequence different notes for every OSC if you're using it's sequencer, or set different semitones for every OSC. By these methods you can even get triad chords out of it, which could be useful if you're making dub / techno dub music for example. 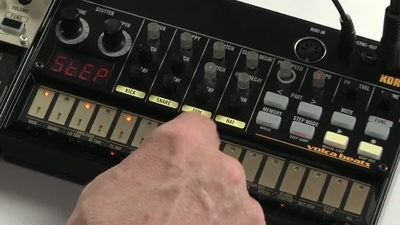 Another great thing is that it has an LFO which can go very fast, you can enter the audible range with it. It allows you to get all kinds of weird sounds. The only complaint would be, that it's build doesn't feel very solid, it's plastic, wobbly, feels cheap. But hey, for this price, it's OK. If you take good care of your equipment, it shouldn't be a problem. And despite all of that, it looks very good. There's also a little speaker integrated, and it can run with batteries. But I personally, find these features useless. Overall, excellent product. 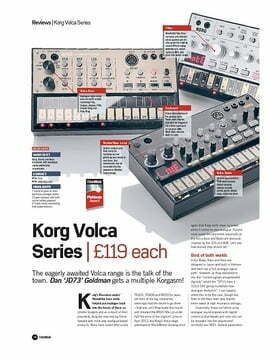 Definitely a must have if your budget is limited, but you want a proper analogue synth. And Korg Volca Bass is exactly that. 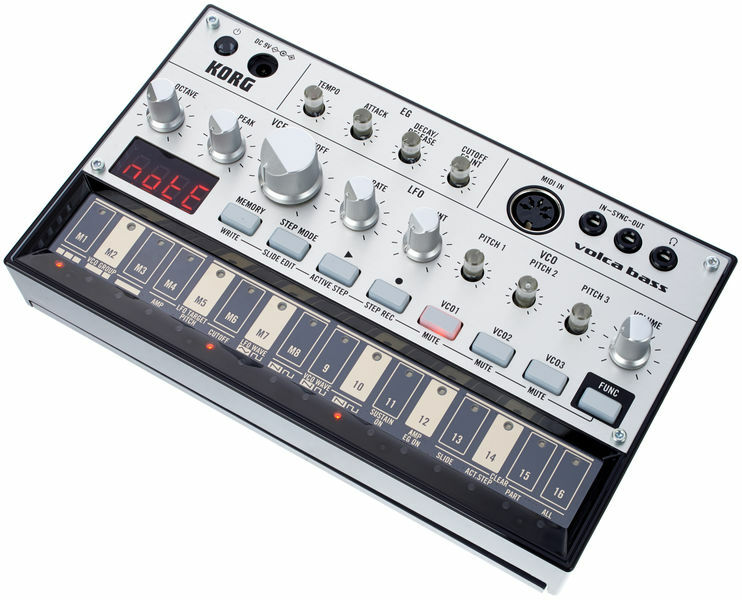 The volca bass totally surpasses my expectations by leaps and bounds. It's an extremely versatile machine for it's size and really packs a lot in. There are specific dials for each desired control to give you great accuracy in weaving your desired sounds, as well as great function settings to toy with, like active step, which I personally use to create much faster hard-hitting techno loops. Teaming VCO's together gives the volca bass a much richer sound than I imagined it would have. The vast amount of possibilities for such a small price. The built in speaker & battery power options that make this synth 100% portable and useful for people who want to make music on the go without a laptop - great for bus journeys etc with headphones. 3x VCO's that can be used individually OR in tandem for even more diverse sounds. Built-in sequencer. 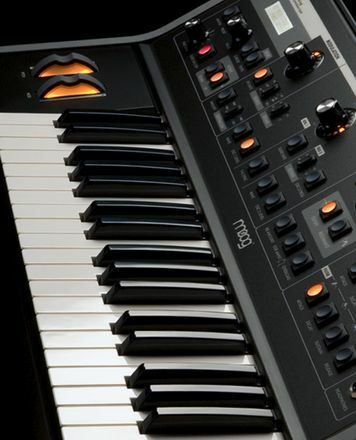 Hook this machine up through MIDI / sync and sequence like mad with the rest of your studio. Let it play while you toy with the sounds for some off the cuff deep-house and techno vibes. One positive about this machine is it's size - it's small and portable, but with that comes even smaller dials. It can talk a bit of time to get the tempo dial to be at the exact number you want, for example. Other than that - no cons. You're getting what you pay for and it works well! ID: 312859 © 1996–2019 Thomann GmbH Thomann loves you, because you rock!